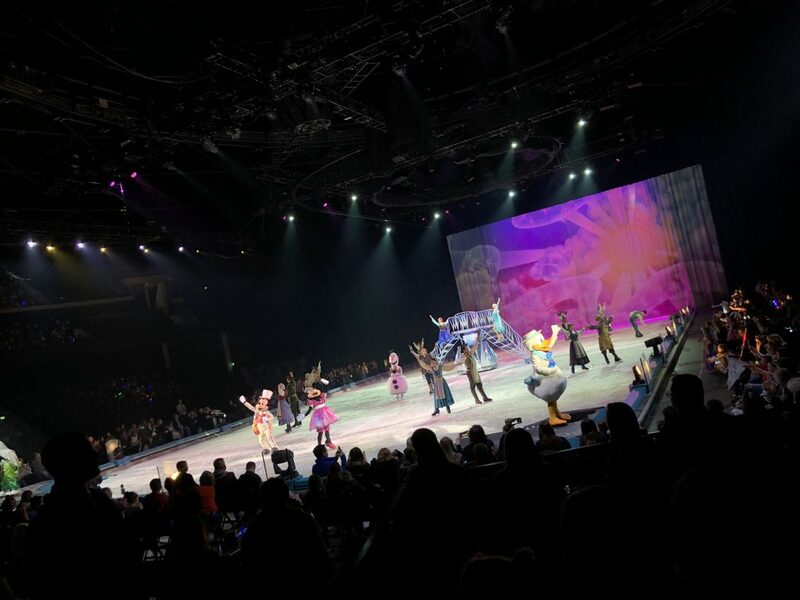 We were invited along to the opening night of Disney On Ice: Worlds of Enchantment on Thursday evening. The little man is not a fan of sitting for more than 20 seconds, so the little lady and I had a girls night along with our friends. 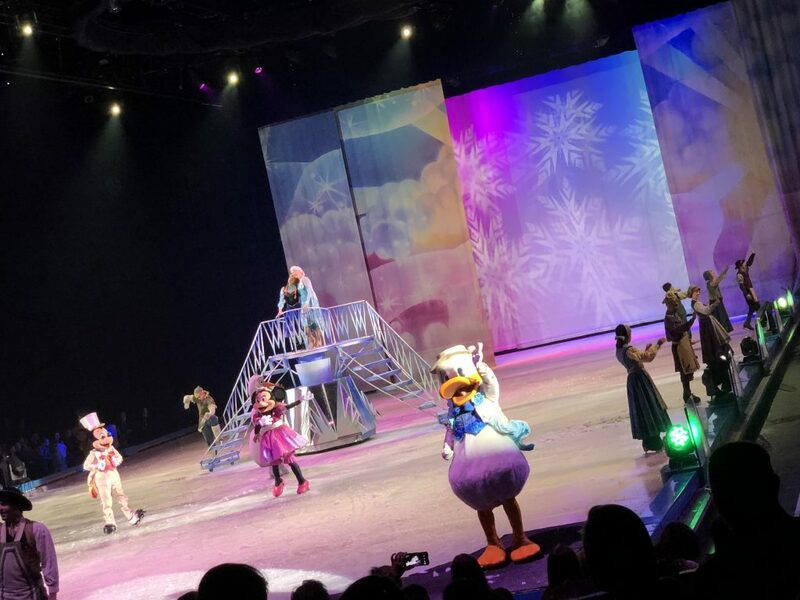 The show was in two halves; each half opened with an introduction by Mickey and friends, and telling two different Disney stories. The first was Toy Story 3 followed by The Little Mermaid and the in the second half we saw Cars and Frozen. 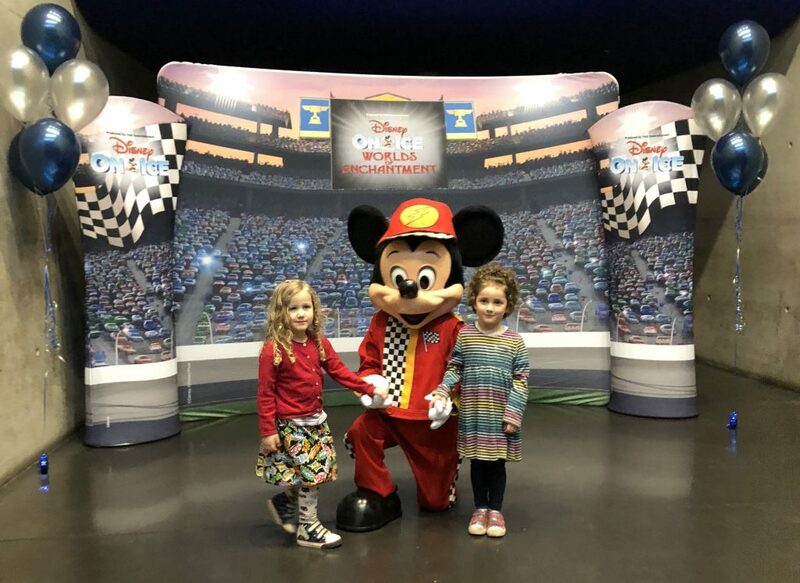 The little lady and her friend were utterly enthralled as soon as Mickey and Minnie skated out onto the ice. They listened and watched intently to what was happening on the ice, and they thought it was hilariously funny when Goofy was being, well, goofy. Toy Story 3 began with the toy soldiers marching and doing soldiery things around the ice. They were fantastic – I really loved their bit! The show then told the entire story of the movie in quite impressive detail. Buzz, Woody, Jessie, Slinky and Rex were all there, as were Lotso and Barbie. This was by far the longest of the sections of the show. The little lady started to get a little bit restless towards the end of it. Then came The Little Mermaid. Sebastian did his couple of songs; Arial and Eric did a beautiful dance; and a great big blow up Ursula came out to ruin it for them. If I’d had a choice this would’ve been the longer of the two parts, because I adore the songs from the little mermaid. This was probably my favourite part of the whole show, and it was the shortest! 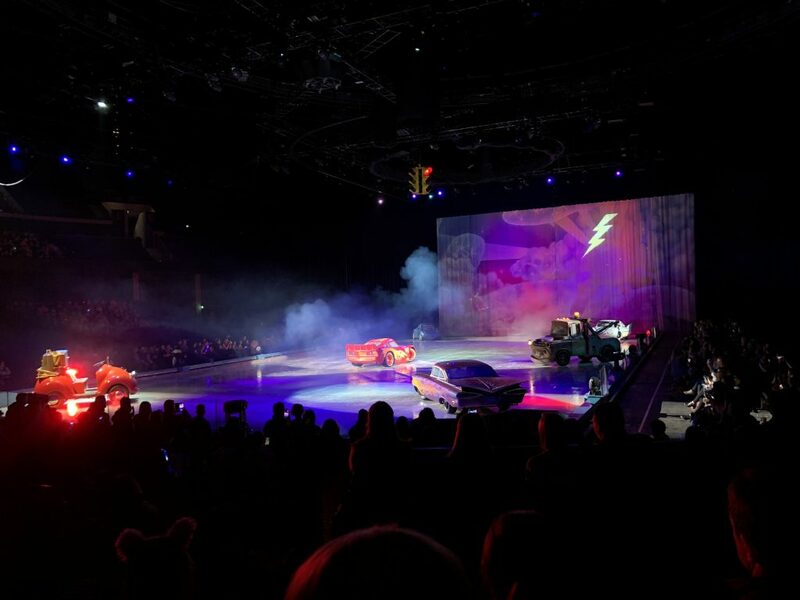 In the second half, Mickey, Minnie and friends came out again to introduce what was coming next: Cars! I didn’t know if the cars were automated or if there were people driving them but either way I was impressed. To be honest this conundrum was mostly what I thought about the entire time I was watching that segment. And I’m still not sure of the answer. The kids really liked this part too. The show ended with a short version of Frozen. There were still lots of good songs in there, obviously including Let It Go which, as you might imagine had Elsa doing some beautiful skating. Tickets start at £20. Snacks in the arena are as expensive as you’d expect them to be. 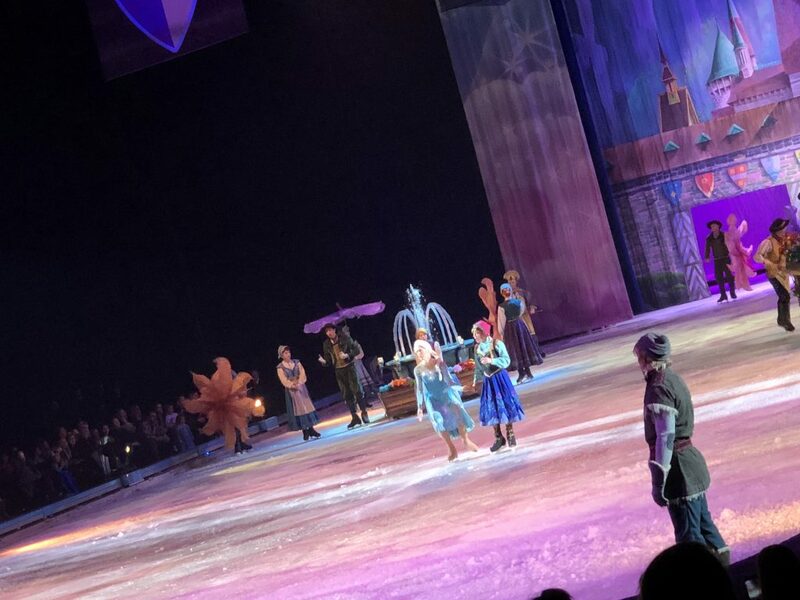 I really enjoyed this Disney On Ice show too. My only negative of it was that the Toy Story bit was the longest, and as an 80’s kid I’d have loved to have a bit more of The Little Mermaid in there (those songs are my favourites!) but I guess it’s not really aimed at 30-something-year olds! All in all, every one of us had a great night. 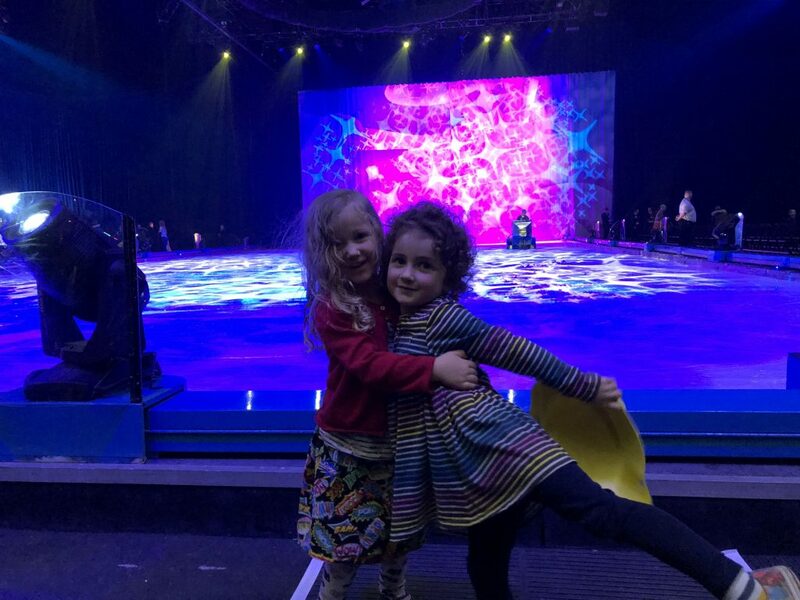 OUR TICKETS FOR THIS DISNEY ON ICE SHOW WERE VERY KINDLY GIFTED TO US BY THE NICE FOLKS AT DISNEY ON ICE. HOWEVER ALL OPINIONS, WORDING AND PHOTOGRAPHY IN THIS ARTICLE ARE MY OWN.